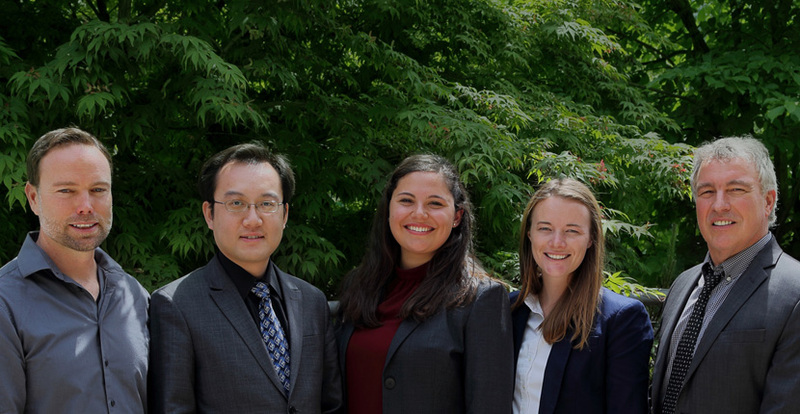 CELL summer 2018 cohort (L to R): Anthony Ho, Rory Shaw, Morgan McGinn, Amanda Spitzig, Chris Tollefson. This summer, CELL has had the pleasure of working with three amazing law students from three different law schools in Ontario and Quebec. 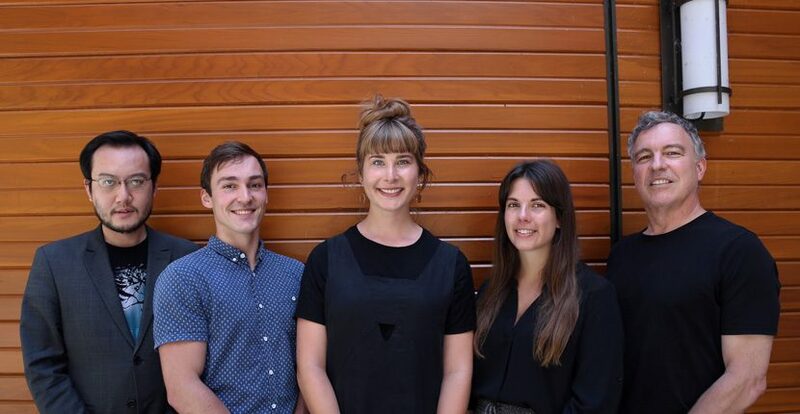 Rory Shaw (Queen’s, 2L), Morgan McGinn (McGill, 2L – joint BCL/LLB), and Amanda Spitzig (Osgoode Hall, 3L – joint JD/MES) spent this summer in beautiful British Columbia working under the supervision of CELL instructors on real-life litigation cases. One of the key cases that these students worked on from inception to conclusion was an application before the BC Supreme Court seeking authorization to webcast the hearing currently under way regarding an interim injunction application for the Site C dam. In this case, West Moberly First Nations and Prophet River First Nation are asking the Court to order a halt to the project pending the full trial of their Treaty right case. Working closely with the lawyers representing West Moberly First Nations, CELL students helped to draft the webcast application, learnt how to put an application before the BC Supreme Court, and watched the application argued before Justice Milman in Vancouver. The webcast application was successful, and anyone can follow the injunction hearing online at this link here. 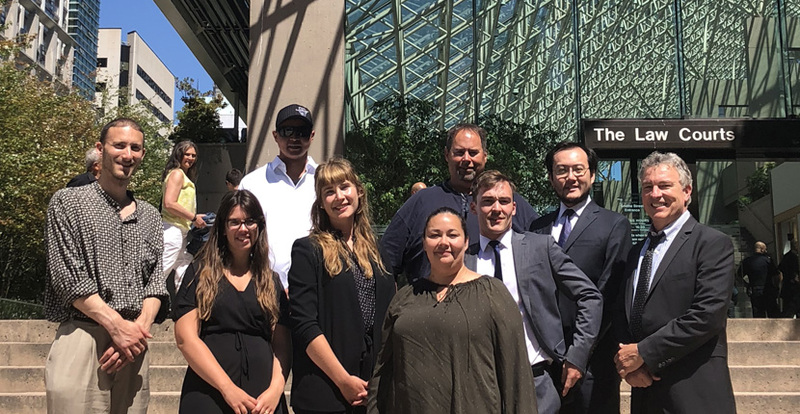 The three summer students returned to BC Supreme Court a second time, when West Moberly supported the application by the Canadian Broadcasting Corporation for the right to use the webcast footage: see The Narwhal article. This is the second summer that CELL has accepted law students from across Canada. Last year, CELL accepted Maddie Macdonald (Queen’s) and Christina Clemente (uOttawa) into CELL’s educational program. These students worked with CELL through internship programs provided in their respective law schools. One of the main cases that Maddie and Christina worked on was the legal challenge in Federal Court regarding the Pacific NorthWest LNG Project. A highlight of that term was an opportunity for these students to attend a hearing before the Federal Court in July 2017, which gave them a chance to see the role that their work played in supporting submissions made in a courtroom. Summer 2017 students with staff & client (L to R): Greg Knox (executive director, SkeenaWild Conservation Trust), Anthony Ho, Christina Clemente, Maddie Macdonald, Chris Tollefson. As CELL continues to grow as an independent legal education service provider, CELL will to look into ways to expand its service coverage to include law students across BC and Canada. In the coming term, CELL students will get the chance to work on a variety of cases, including a Charter challenge relating to air pollution in Kitimat BC, and representing CPAWS in the environmental assessment of the Frontier Oil Sands Project. In the Q & A that follows, this year’s summer students (Rory, Amanda, and Morgan) provide their own reflections on their experience with CELL. Q: Why did you want to work with CELL? Rory: Working at CELL was an exciting opportunity for two keys reasons. First, CELL is involved in a wide variety of environmental law cases. It appears if there is an important environmental case in BC, CELL has some stake in it. Second, CELL provides a unique and valuable experience to law students by offering the opportunity to work closely with experienced and knowledgeable lawyers in high-profile cases. This was an exciting prospect, as it is a great way to gain practical skills and a better understanding of what litigation entails that students would be pressed to find elsewhere. Amanda: I wanted to work with CELL because public interest environmental law has been a focus of mine since entering law school. As a JD/MES student, I knew before beginning law school at Osgoode Hall that I intended to specialize in environmental law. Having spent the past couple of summers working in government, I was interested in broadening my experience this summer and diving into the world of public interest work. I was drawn to CELL because of its focus on educating and mentoring young lawyers to prepare them for work in the field of public interest litigation, which is an area of practice I have become increasingly interested in. Despite volunteering for several environmental and community groups over the past few years, opportunities to engage directly in litigation are few and far between, and so I felt that CELL was a great fit for the career path I hope to embark on. I was also interested in exploring the legal climate outside of Ontario. There is so much important work to be done on environmental issues in BC, and CELL is right in the middle of so much of it! Q: What have you learnt this summer? Rory: Working with CELL has given me first-hand experience with litigation. When you are in law school, you begin to build a foundation that enables you to think like a lawyer; however, there is so much more that you need to know to be successful outside of the classroom. My summer at CELL has improved my legal writing and research skills, but more importantly has helped develop my strategic thinking in a way that will serve me well going forward. Morgan: I am so grateful for the independence and trust that has been afforded to us as summer students with CELL. We have been given the opportunity to work directly on litigation. In doing so, I am learning a whole other skillset, complementary to the theoretical foundation that I began developing this year at McGill. It is one thing to understand where the law came from, what it is, and what it does — but it takes a whole other mindset to be able to practice it well! For me, this has meant applying research skills, critical analysis, procedural knowledge, and creative thinking in a timely and polished manner. At first it was intimidating, knowing that real people depended on the cases we were working on, but as I embraced the rhythm of litigation, I began to enjoy the energetic dynamic and become motivated by it! It has also been a valuable experience to see how litigation happens. To be brought in on conference calls and meeting between lawyers collaborating across firms, to hear how negotiations happen, to have a judge give a decision on something that we helped prepare—these have all been extremely informative. Ultimately, it is experiential learning, and we have been given much more experience than I ever expected, attending the Supreme Court in Vancouver twice already! Amanda: I have learned a lot about the dynamics of litigation in a public interest setting. Having only been involved in government-side litigation in the past, I have learned a lot about the benefits and challenges of collaborating with other law firms and non-profits, as well as the unique hardships faced by public interest litigants. I have personally always found experiential learning to be more beneficial than textbook or classroom learning in building the necessary skills and knowledge to practice upon graduation, and CELL has been extremely helpful in gaining this hands-on experience. Both Professor Tollefson and Anthony ensure they take the time to explain the steps and strategy of litigation and engage the interns in conversation about legal argument, involving us at all stages of the litigation and helping to develop the mindset required by a litigator. CELL students at the BC Supreme Court: CELL instructors and students posing with Chief Kirk Tsakoza (Prophet River First Nation) and Chief Roland Willson (West Moberly First Nations) in front of the Vancouver Law Courts. Q: What have you liked about living in Victoria? Rory: Victoria is a beautiful mid-sized city. However, as nice as the city itself is, what is really great about Victoria is its proximity to the outdoors. Living in Victoria, you are never more than 20 minutes from the ocean, and there is unlimited adventuring to do up island. For me, the highlight would be rock climbing around the southern part of the island. Morgan: Being on Coast Salish Territory in the midst of some huge environmental and political struggles going on right now has been especially pertinent. As I have the pleasure of experiencing the beauty and richness of the area, I further understand the importance of protecting it. I came to the West Coast in search of the ocean, and have spent as much time in it as possible. The city is friendly and peaceful, and evenings spent on the beach are never wasted. I am enamoured by the beauty and opportunities of Vancouver Island and how accessible they are. Amanda: I am not sure where to begin answering this question – I have loved everything about the city! Coming from Toronto, Victoria offers so much that I find Toronto to be lacking. Victoria is so close to the ocean and the mountains, and it is incredibly easy to get away for a weekend or even just after work on a weeknight. There are so many places to explore, and lakes and rivers to swim in. There are wonderful markets and fresh produce readily available, and the people here are kind and thoughtful. Also, the weather cannot be beat – it has only rained a couple of times since I arrived in early May, and most days are full of cloudless skies sans humidity. Q: What have you got out of this experience that you were not expecting? Rory: Our main case this summer was an application seeking permission to webcast and archive a proceeding in the Supreme Court of British Columbia. This meant that much of the research we did was not directly related to environmental law, and instead was more focused on media, Charter, and procedural issues. While this experience was certainly not something I had expected to encounter prior to my internship, it was very interesting and exposed me to a range of legal fields. Morgan: Two fantastic mentors. Professor Tollefson and Anthony have made the difference between doing the work behind the cases, and taking the time to show us how and why. Their explanations and advice have been invaluable. To me, this is the biggest strength of CELL: combining litigation and education creates a setting in which students can practice litigating on real cases, but also prioritizes the time to ask and answer questions and to integrate the theory and skills we have been developing in school. Throughout my time with CELL, I have been constantly inspired by the way that Professor Tollefson and Anthony approach their work, with a thorough and precise attention to the matter at hand while never losing their insightful view towards the big-picture. Amanda: Spending the summer at CELL has been eye-opening for me, as I have realized the breadth of knowledge one needs to have as a litigator, particularly working at a small firm. Despite the fact that CELL focuses on public interest environmental cases, litigation requires a lot of procedural familiarity as well as knowledge from other areas of law. While the main underlying claim may be environmental in nature, cases may have several applications throughout, dealing with issues that fall outside of what one would consider traditional “environmental law.” As I hope to one day work at a small public interest firm or have my own practice, I have realized that there is so much to learn in order to become a successful litigator! CELL students at work: With assistance from Michael Bendle and Sarah McMillan (and Lou!) 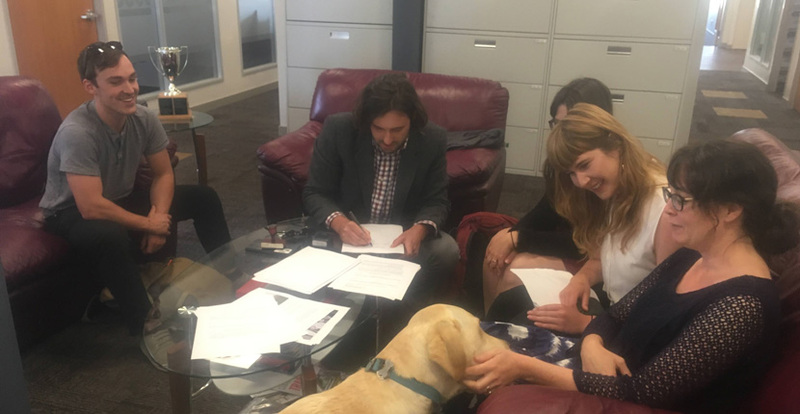 of Woodward and Company LLP in Victoria, CELL students Rory Shaw, Amanda Spitzig, and Morgan McGinn learn how to put together materials for a court filing. Q: What was your favourite weekend or thing(s) you did this summer? Rory: By far my favourite thing to do on the island is rock climb at Horne Lake. The area is a geological anomaly and has massive overhanging limestone cliffs which you cannot find anywhere else in Canada. Suffice to say, it is ridiculously cool and extraordinarily intimidating. Morgan: My favourite weekends have been spent biking to camping on Salt Spring Island, kayaking to camping on Pender Island (and kayaking at sunset with the orcas! ), going surfing in Tofino, hiking sections of the Juan de Fuca trail, as well as taking some painting workshops at a local independent arts centre. This place has so much to offer, and I feel increasingly sure I will be back! Amanda: I really enjoyed spending time in Tofino with some friends that came to visit from Ontario over the Canada Day long weekend. We camped at the beautiful Pacific Rim National Park Preserve, visited Hot Springs Cove where I saw a humpback whale, ate fresh seafood, tried surfing for the first time, and we watched fireworks over Clayoquot Sound after watching the sunset. I was surprised by how small the community is in Tofino for such a popular surfing destination.